Already the reviews are pouring in, and most are favorable for J. R. R. Tolkien's The Children of Hurin. Rather than focus on the usual stuff of criticism, I want to look directly at Tolkien the Catholic author and what he does with this material. The man who talked about the necessity for a happy ending and the triumph of good over evil has produced a tale of woe, betrayal, and tragedy that turns the most optimistic of us to tears. Therein lies the genius of this work. 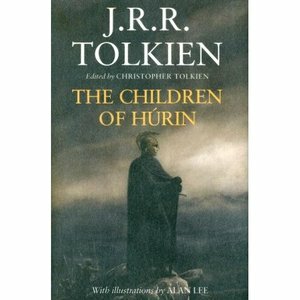 Born out of the despair of World War I, treasured in his heart for his entire life but never really given final form, a window into the complex heart of this Catholic author, The Children of Hurin is a brilliant portrayal of the power of evil even in the midst of God's providence and ultimate conquest of this dark force. Almost a century old in its genesis, the tale is parable for our times and a cautionary warning about the pride of humanity. In our world, we like to think of ourselves as the masters of creation, flawed but not really sinful. Ask a friend if he or she sins and they will tell you they make mistakes but "sin?" --not so much. The Western world values "niceness" above all other virtues and raises tolerance to an almost oppressive level. We must accept anything and everything because each of us is the ultimate decider of what is right and wrong. Ambiguity rules our hearts and assuages our consciences. What is good for you may be wrong for me and vice versa. Too much reflection and we may think badly of ourselves. The problem is: not enough reflection and when our sins come home to roost and we must face them, then we may just give in to despair. Critics will say our world is nothing like the one Tolkien created in his mythology, but they would be wrong. It is exactly like it--peopled with characters who are much like us, convinced that they can look evil in the eye and conquer it; convinced that if we just all tolerate everyone's take on the truth, we can do anything we want; convinced that salvation rests in our own virtue and courage. Just like the heroes in Tolkien's story, we do not reflect on our weakness for fear that such reflection will drag us down and tear us apart. The irony is that a little reflection on personal sin, balanced with humility usually leads to a chastened and wiser person who goes forward better for the examination of conscience. If we keep running away from the evil within us, then it becomes most dangerous when we are forced to face it. That fact destroyed Turin and Hurin, his father, and may very well destroy us. Turin is a kid who grows up with an absent father, who happens to be a hero, and deals with the fear of terror every day. His father, Hurin, captured by the Satanic figure of the story--Morgoth--is held in thrall in Middle-Earth's version of hell. As Turin's world breaks apart (Morgoth stretches out his hand to conquer his family), he flees to the Elves where he is fostered by the Elven King. Yet, as he grows into adulthood, he remains a man apart, a loner, given to flashes of anger and compassion, in the grip of emotions he doesn't understand. In his hatred of Morgoth, he dances with the Dark. His loathing is very close to a perverted form of love, for his very self finds its only meaning in relationship to this terrible evil force. Elves and men who try to befriend him, women who try to love him are pushed away in favor of his lust for revenge. Fleeing the consequences of his anger, he takes up with a group of outlaws and lives like them, finding his humanity leeching out of himself. Here is where Tolkien, in the midst of this bleak tale, reminds us that in our essence, human beings are inherently good. This is the very Catholic, optimistic view of humanity. We sin, but we cannot blame our actions on our sin. In the end, our inherent goodness makes us responsible for our actions. By our evil decisions, we diminish our humanity, no matter what the horrendous circumstances may be in which we make those choices. Turin is a prideful man, and when his one friend comes to take him back to the elven king who promises friendship, Turin turns him down and goes back to his lonesome life. Tragedy never happens from happenstance; there is always an element of choice. Much is admirable in Turin; but his pride is his undoing. When he confronts the dragon Glaurung, servant of Morgoth, he thinks he is a match for that evil, but the serpent beguiles him, getting Turin to focus solely on what a failure he is. In trying to save himself from his failings, he continues to make disastrous decisions. Unknowingly, he marries his sister, but neither she nor he will seek forgiveness for this unwitting horror. Once again, evil in the shape of the dying dragon throws the twisted truth in their faces and rather than conquer the evil, they submit to its terrible despair. The most haunting words in the whole novel come when Turin realizes that his sister is dead. All his actions, even his good ones, have led to darkness and doom and he cries out, "Now comes the night!" and thrusts himself toward a suicidal end. The epilogue to this pain-wracked story comes at the grave of Turin some time later when his father, Hurin, released by Morgoth, chances across his long lost wife, Morwen, and they hold each other in sadness and their grief cannot be consoled. Never has Tolkien shown so powerfully, the existence of Original Sin. This is an unredeemed world, long before the advent of Judeo-Christianity, and in this graceless time no human, despite his or her inherent goodness, has the power to successfully confront evil. Neither elves nor men can destroy Morgoth; sin has weakened them too much. Indeed, though not told in this tale, it takes the angels of Middle Earth, the Valar, to thrust Morgoth outside the world's bounds. Humility is the lesson of this story. If humanity is to succeed in conquering evil, it must look elsewhere for salvation. It will not come from man, or elf, or anything in this creation. Critics see only tragedy in this story, but there is a shadow of hope, an unseen answer that Tolkien is pointing to. It will not be found in the later Lord of the Rings tales, but will only be found, as Tolkien has written elsewhere, in the Gospel with the Incarnate God who came to earth to save a fallen humanity and cosmos. Tolkien the Catholic is alive and well in this newly published story. A parable for our times, this cautionary tale warns us of thinking ourselves as gods, as masters of the universe. For more information on Tolkien and Original Sin, see my article in Touchstone Magazine, "The Shape of Evil and the Power of Hope: Fantasy Literature and the Dark Reality of Original Sin." This is a link to the article. "If there's no limbo and we're not going to revert to St. Augustine's teaching that unbaptized infants go to hell, we're left with only one option, namely, that everyone is born in the state of grace," said the Rev. Richard McBrien, professor of theology at the University of Notre Dame. Nothing upsets me more than a fellow priest and theologian twisting Catholic teaching to mean whatever he wants it to mean. The new Vatican line on Limbo has to do with God's mercy, not the reality of Original Sin. The bottom line is, we do not know what happens to unbaptized infants or adults who die. We just don't know for certain. Never have, never will until we enter, hopefully, eternal glory. 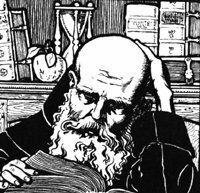 Just like Pelagius, Fr. McBrien negates the necessity of Baptism to wipe away Original Sin, and just like Pelagius, he is wrong. What the Church teaches is that Baptism is necessary, but God, in his mercy, makes the final judgement on people. People who intend to have their children baptized but suddenly lose them, infants who suffer the agony of abortion, all are presumed to be in the hands of a merciful God who does not wish to condemn anyone. But to deduce from that, that no Original Sin exists is just illogical. Baptism is the sure way to salvation; everything else is a roll of the dice. We can trust in God's love, but we ought not take for granted the sacramental ways he has provided to experience salvation. Limbo was never a dogmatic teaching of the Church; it was a way to explain God's mercy. The Church has refined that explanation, not gotten rid of Original Sin or the necessity of Baptism. McBrien knows that. All Fr. McBrien has done is give the rest of us priests more work in speaking Catholic teaching loud and clear. But that's what he has always done: confuse the issue so that he and others like him can make the Catholic faith into their own image and likeness. For all we Irish, inhabitants of the world's edge, are disciples of Saints Peter and Paul and of all the disciples who wrote the sacred canon by the Holy Spirit. 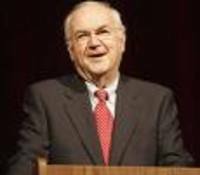 We accept nothing outside the evangelical and apostolic teaching. None of us was a heretic...but the Catholic faith, as it was first transmitted by you (the Popes), successors of the holy apostles, is maintained unbroken...As I have said before, we are bound to the Chair of St. Peter. Though Rome be great and famous, she is great and renowned only because of that Chair. 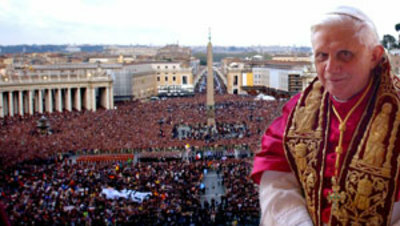 On this second anniversary of the election of Pope Benedict XVI, it's good to know that 1400 years after the great Irish saint, there is still a successor of St. Peter around preserving Christian doctrine, boldly speaking out, and giving voice to a robust Christianity that refuses to go away and hide from the world. When St. Columbanus wrote the Pope, there was a big controversy going on concerning the nature of Jesus Christ. A false teaching had once again raised its ugly head. Some bishops were accusing Pope Boniface of Nestorianism--a heresy that said Jesus was basically schizophrenic and Mary was the Mother of Christ but not the Mother of God. They were gravely mistaken and the saint came to the Pope's defense. Good old Columbanus, says Cardinal Tomas O' Fiaich (translator of the above letter), was angered and "felt all his native loyalty to Rome well up within him." 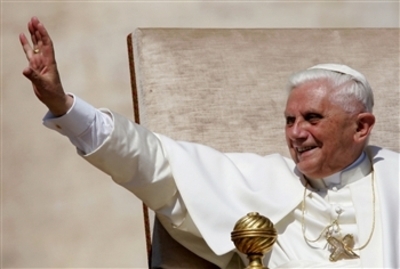 Fortuitously, Pope Benedict has just come out with a book on Jesus Christ--to be published in America on May 14. Times don't change much. We still need strong religious leaders and the great scholarship of this Pope will help spread the true message of Jesus Christ to all peoples. Congratulations to you, Holy Father! We love you and pray you have many more wonderful years leading one, holy, Catholic and apostolic Church. Check out the book review above. How can someone who has been dead for over thirty years come out with a new book? When you have a son like eighty year old Christopher Tolkien, stuff happens. What's more is that this is not some publicity hype. Back in 1918, J.R.R. 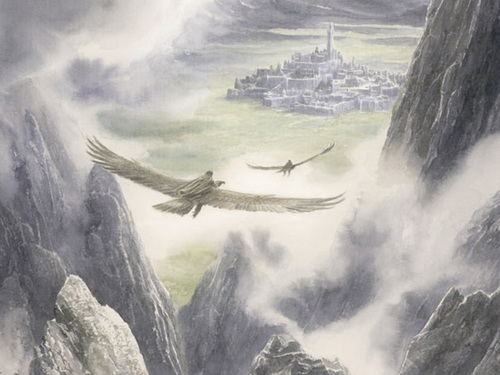 Tolkien began this work, set thousands of years before any of the events in The Hobbit or The Lord of the Rings. It is a dark tragedy, fueled no doubt by what Tolkien himself was going through in WW1. Written more in the style of The Silmarillion, this is a tale of Hurin and his children, men and women in the midst of a world of elves and a satanic force named Morgoth, who came before Sauron and is far worse than the dark lord ever was. It is a tale of woe and loss, of beauty vanishing and goodness under siege. And yet, it is also a tale of courage and valor. It enshrines "The Long Defeat", a northern mythological idea of good fighting evil even though it seems hopeless. And, indeed, since this is a tragedy, all does not end well, and yet, the seeds are sown for the eventual triumph of good. Except for some grammatical and stylistic changes, the entire work is J.R.R. Tolkien's alone. A stand-alone story, parts of it have appeared elsewhere, but much is new and never has it been published as a novel. It comes out next week and will not be reviewed until ordinary folk like us get to read it. Tolkien is a Catholic author and his orthodox faith shines through his work, even though events are set in a pre-Judeo-Christian time. More on this after my copy arrives in the mail. For additional information look at www.tolkienlibrary.com/ It's been a long time Tollers; we're glad you're back! According to my judgement, I deem this man should die. Said Herod, 'Bind him to a pillar and leave him there till noon. Bandage both his eyes and dress him like a fool. spit on him and rail on him with every mocking sound. And hurled him despicably on the cold and stony street. And she gathered up the blood that through the grass had seeped. God be with thee, Son--and do you know this face? Only be patient and you will have grace. 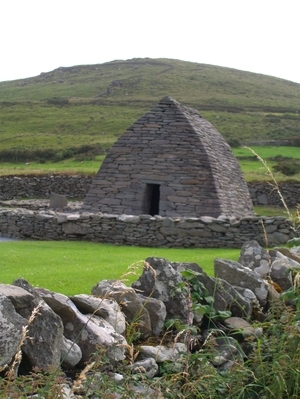 The Gallarus Oratory on the Dingle Peninsula is one of the oldest Celtic Churches still standing. Built somewhere around the eighth century, this little chapel overlooks the sea. Inside, there is room for perhaps twenty people, but when Mass would have been celebrated, most would have been outside worshipping. 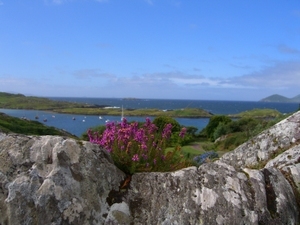 As we begin the Sacred Triduum, one of the ancient Celtic prayers, "Christ the Priest Above Us" (taken from the Hebridean Islands)which the peasant folk prayed and sang this time of year, commemorates the closeness of the Catholic peoples of the Celtic lands to God and his Son Jesus Christ. They were acutely aware of what Jesus had done to save them. The intimate chapel, its ability to mold itself into the landscape, and the Celtic peoples great gift of hearing the voice of God in the world around them, may help us all be close to Christ during these most sacred days of our faith. Ordained of God for all living. Christ the Priest above us. The cross of anguish to which Christ was crucified. Oh Lord! Arise and open the door of salvation to us. ***Holy Thursday Update: Here it is, a little after midnight on Holy Thursday/Good Friday. Just got back from closing Adoration after the Mass of the Lord's Supper. My parish consists of two combined rural churches, strongly Irish in background. Had a full church for Mass this evening and good attendance for adoration. The people here are great. At 11:45 PM, about 40 people showed up at the Altar of Repose--our little Garden of Gethsemane with the Blessed Sacrament Present--and we prayed Night Prayer together, saying the above prayer--we are ethnically Celtic after all. It was just beautiful. And then, to walk upstairs to the church with the stripped altar, empty tabernacle--such an empty expectation, as if the place was holding its breath for the solemn day tomorrow. I am struck by the church's emptyness. Maybe it's my Catholic sacramental heritage, but I can always tell when the Blessed Sacrament is not present. The upstairs church really feels lonely. One can always count on the Sacred Triduum to deeply touch the spiritual emotions. God bless us all through these three days!